The Satellite Server defines all locations and organizations. Each respective Satellite Capsule Server synchronizes content and handles configuration of systems in a different location. 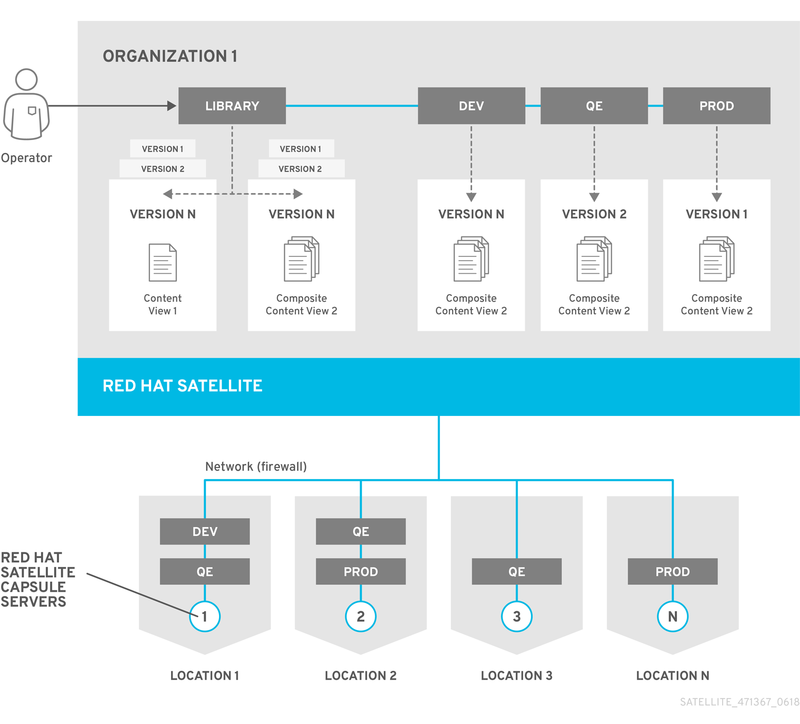 Organizations divide Red Hat Satellite 6 resources into logical groups based on ownership, purpose, content, security level, or other divisions. 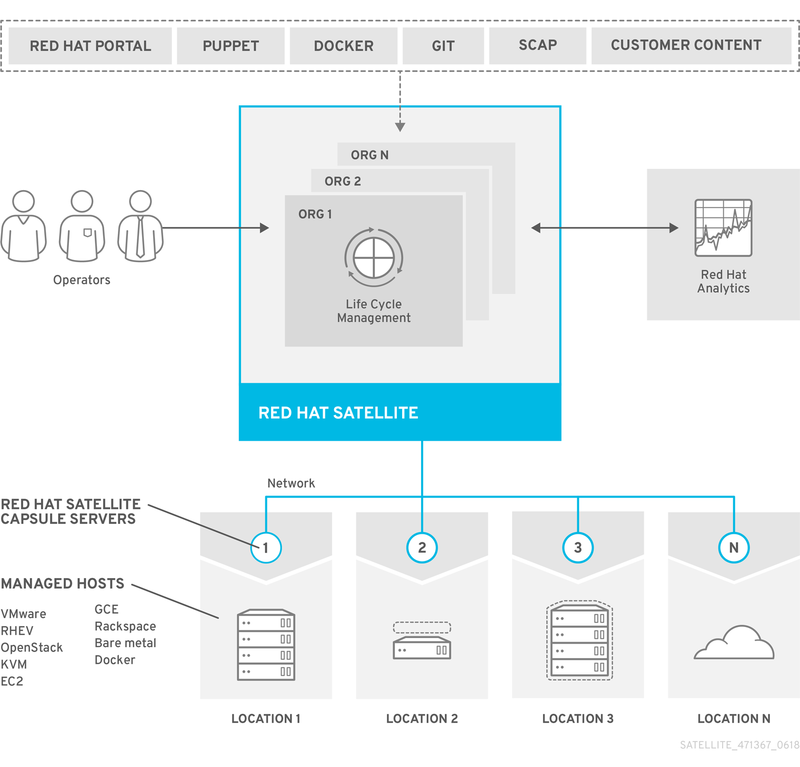 You can create and manage multiple organizations through Red Hat Satellite 6, then divide and assign your Red Hat subscriptions to each individual organization. This provides a method of managing the content of several individual organizations under one management system. Application life cycles are divided into life cycle environments which represent each stage of the application life cycle. Life cycle environments are linked to form an environment path. You can promote content along the environment path to the next life cycle environment when required. For example, if development ends on a particular version of an application, you can promote this version to the testing environment and start development on the next version.